I've been wanting to to try printmaking with my preschooler for awhile now. After seeing this great Easter Egg Printing post from The Artful Parent, I thought I'd give styrofoam printing a try. Styrofoam printing is cheap and doesn't (really) need any special materials. Sounds great, right? 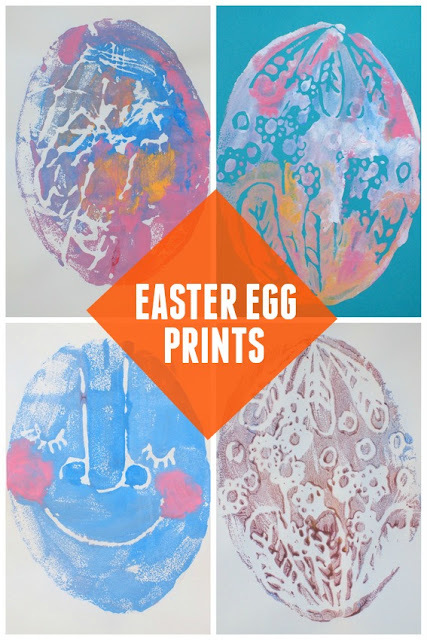 Today's Easter craft is making these neat Easter Egg Prints with your kiddos. 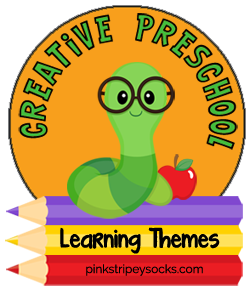 Both blogs show wonderful photos of their kids actually doing the process, so check out them out if you feel confused! I set up two work areas- one area to do the actual painting/ rolling and the other area to do the printing. I covered both areas with cut-up brown paper bags. This way the printing area would be clean. Here's what one of these tempera paint prints looked like! My son then got bored of the activity and ran away to play Lego. So I tried using some craft paint to make prints. I just painted on the colors. To make the prints as sharp as they could be, you could use the back of a wooden spoon to rub over your styrofoam eggs. We didn't have one specifically for printing, so I just taped the blades of a scissor together and rubbed the handles against the styrofoam egg to make sure all my paint evenly transferred. Here are some more great egg-themed activities to try out with your preschoolers! Pinterest, Facebook, or Instagram accounts! (Or subscribe to my email mailing list by filling out the pink bar at the top of the screen.